How do I find the Instructions for Use for a specific product? Select the Country, Language, Product Family and Product Model using the drop-down menus and the results will show the Instructions for Use (IFU) approved for the country and product model selected. Why is my country not listed? The country selected may not have the regulatory requirements to approve of electronic Instructions for Use at this time. If the product is approved in the country selected, it will be provided with a paper Instructions for Use. If you require a copy of the Instructions for Use, please contact Customer Service. Why is the product not listed in my country? The product may not be approved in the country selected and/or may not be approved for electronic Instructions for Use at this time. The product will be provided with a paper Instructions for Use. If you require a copy of the Instructions for Use, please contact Customer Service. Can I use the Instructions for use from another country? No. Only Instructions for Use approved for the intended country must be used. How do I view electronic Instructions for Use? Click on the pdf image in the search results. The file will display in your web browser. The file can be viewed, saved and printed using Adobe Reader functionality. A free pdf reader is available here via Adobe Systems. Recommended web browsers are: Chrome, Mozilla Firefox, Internet Explorer (IE), Safari. How do I view previous versions of Instructions for Use? The search results will display a feature to expand and show previous versions, document numbers, and revision dates. How do I know if the Instructions for Use have been revised? Instructions for Use documents may be revised from time to time, so please refer to this Web page for the most current version at the time of the procedure. How will I be notified if the Instructions for Use have been revised for safety reasons? Occasionally, a Field Safety Corrective Action(FSCA) may include urgent addendums or modifications to the current prescribed Instructions for Use. 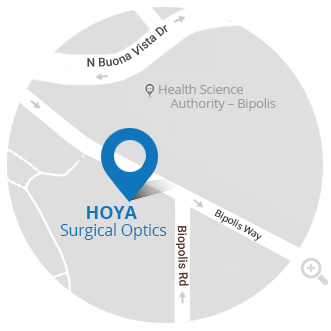 In these cases, HOYA Surgical Optics’ s process requires the distribution of a Field Safety Notice to every customer that has received the affected product to inform them of the revised prescribed Instructions for Use. The addendums or the modifications to the current prescribed IFU due to the safety update will be posted with an indication of “safety update” under its revision date. How do I download electronic Instructions for Use? For the latest version, click on the pdf image in the search results. The file will display in your web browser. The file can be saved, searched, or printed using Adobe Reader functionality. A free pdf reader is available here via Adobe Systems. How do I print electronic Instructions for Use? How do I request a paper copy of Instructions for Use? Contact customer service by phone, fax, or email at the ‘Contact Us‘ page. How quickly will EU customers receive a paper copy of Instructions for Use? EU customers will receive printed Instructions for Use at no additional cost within 7 calendar days. In which EU languages are electronic Instruction for Use available? Electronic Instructions for Use for EU customers are available in English, German, Danish, Spanish, Finnish, French, Italian, Dutch, Polish, Portuguese, Romanian, Swedish and Greek/Turkish (Cyprus). Not all languages are available depending on the availability of the products in the selected countries and/or due to acceptance of English IFU by local law.